Is this not the most adorable picture? 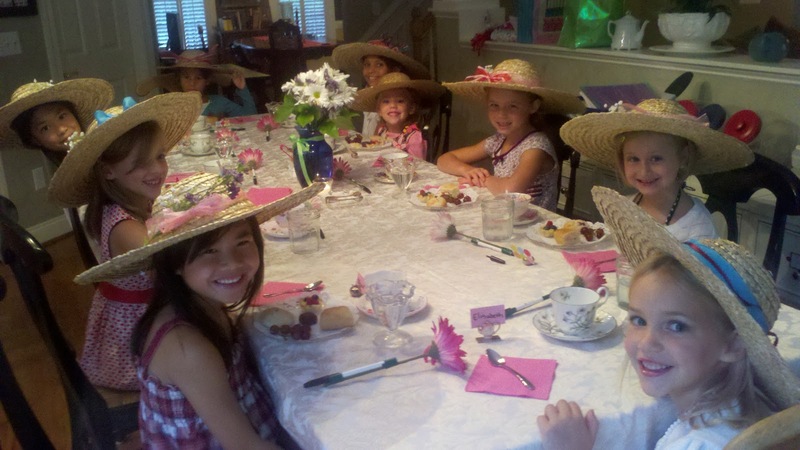 My precious Ellie asked for a tea party for her 7th birthday and of course I had to oblige. We had 7 little girls over, plus my 3, and I made a high tea for them all. Yes, they even drank Earl Grey, with lots of sugar cubes and milk ; ) It was so precious and so feminine and yet so little girly too. They did a craft, which was decorating the above hats that I purchased from the craft store. Don't they all look so beautiful wearing them? We also did nails and very light make-up. Then before they ate, I had them look at each of their tea cups and how each one was different, but yet beautiful. I talked to them about how that is how we are in God's eyes. He made us each different, but each beautiful and special in our own way. They all were such little ladies and minded their manners so well. Here are a few pics from the event. The table before they all sat down. I had Ellie pick out each tea cup for each girl. I also made flower pens as a party favor for each girl. You can see these above the teacups. 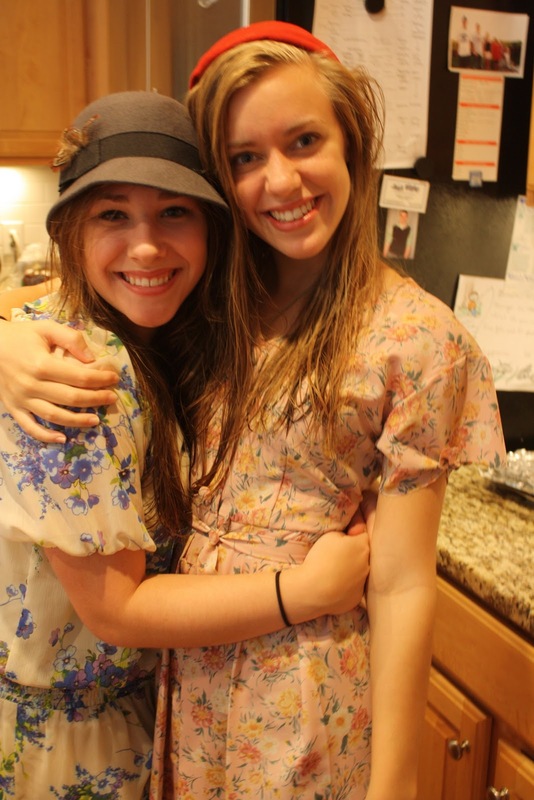 My older daughter and her friend were my precious helpers. They did the craft and make-up stations with them and then served the tea. Above are some easy vanilla pudding tarts I made with fresh berries. They were so easy, but so pretty on the plate. The one mishap that I had was that the chocolate covered strawberries got eaten by a wild animal on the porch. I must admit that when I woke-up to that Saturday morning, I wanted to cry. They were so pretty and there wasn't time to make anymore. My sweet birthday girl with her cupcake tower! I served these after the tea. All 10 of the little ladies....aren't they precious! What fun! Happy birthday to your daughter. 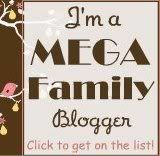 I'm a new blogger and it is always a treat to read other blogs. I found yours at The Chatty Mommy. How fun! I have wonderful memories of tea parties as a little girl. Mine were always in the realm of about 4 people, not 10, but I loved them just the same! I love the idea of decorating hats beforehand, too. What did you use to decorate them? What a perfect little girl's party! I love the teacup lesson of individual beauty. Seriously, you are an inspiration!